For a special set price of Rs. 500. 2) The Jarawa Tribal Reserve Dossier is a 215 page book that was published jointly by Kalpavriksh and UNESCO in 2010. It goes into considerable details of the Jarawa Tribal Reserve with papers on the multiple dimensions that make up the reserve. It has also has a set of important annexures that include the full A&N Protection of Aboriginal Tribes Regulation and a set of detailed GIS based maps of the reserve. 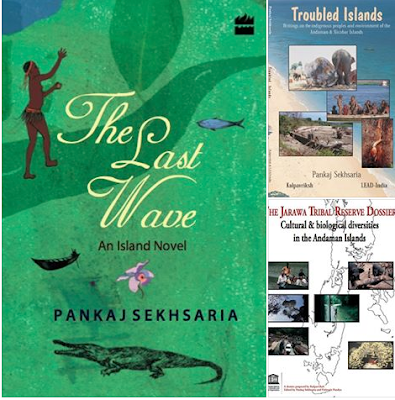 3) The Last Wave, published in 2014 by Harper Collins India is my debut novel and a story has at its heart the ecology, people, and history of the Andaman and Nicobar Islands.